It has been a busy week at work and I didn’t really have time to think about my weekend’s café excursion. 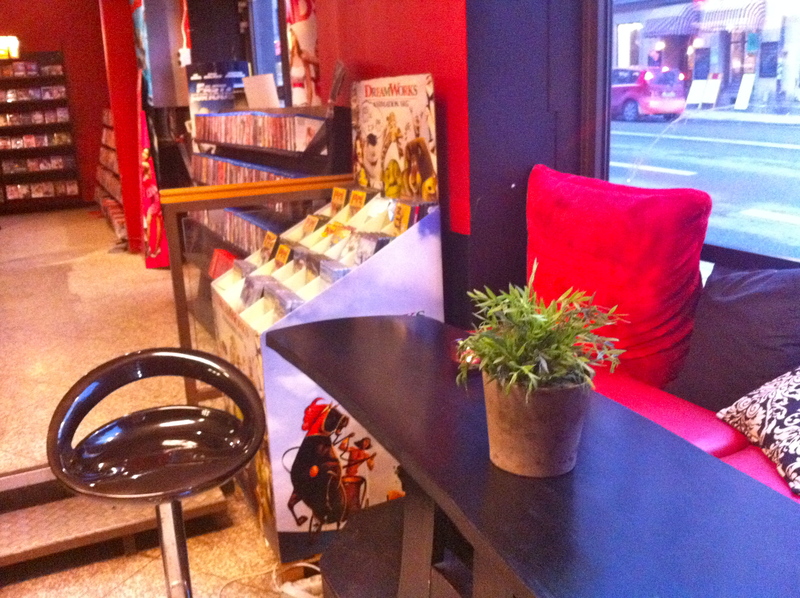 In fact, I also had to work on Saturday, which meant one less day to explore Stockholm’s coffee shops. And after a late night with friends on Saturday evening (it was past 3:00 am when they left my place), I wasn’t sure at all I would see any cafés this weekend. And then, just after noon, my friend RF texted me to let me know that he was having coffee with his friend LH at Franzéns. It wouldn’t be anything new since I’m there fairly regularly but I was happy to see some friends over coffee. RF and LH just had a late breakfast there and I had a cappuccino as they had a refill of regular coffee. And soon enough LH had to go to her pilates class, so RF and I decided to go for coffee by Medborgarplatsen. I had a few places in mind but most of them were closed or fully packed. Then I remembered Brasco! 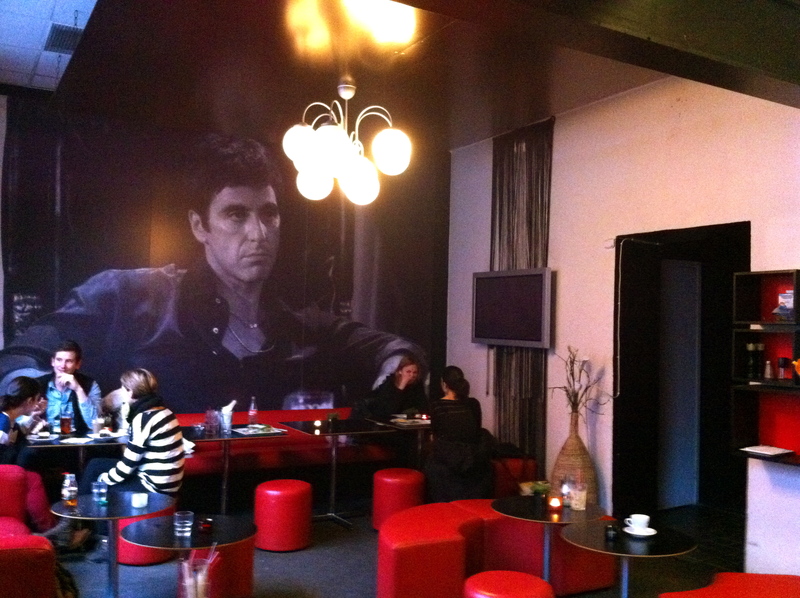 Brasco, as you can imagine, is another café dedicated to cinema. 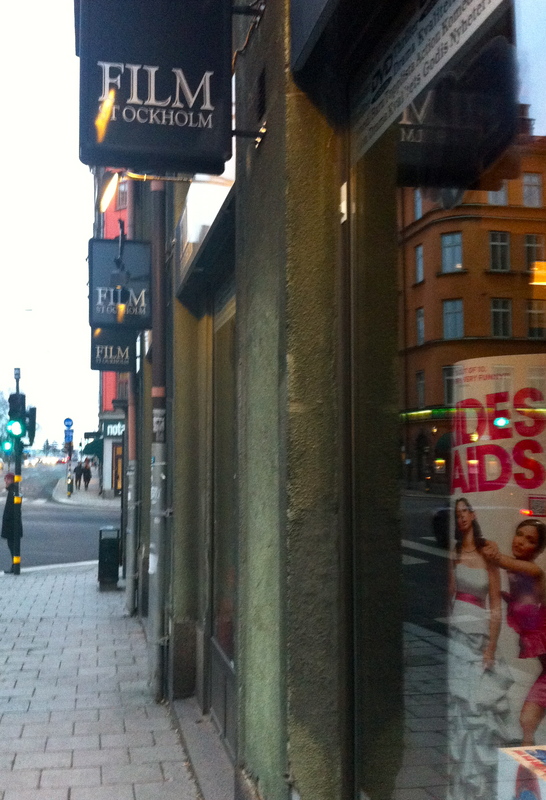 But contrary to Café Cinéma, Brasco is also a video store where one can rent and/or buy DVDs. WiFi is also available here! Brasco describes itself as Söder’s gem, a cozy café with “super good food”. To be honest I didn’t have any food today but the sandwiches and salads looked pretty good. Brasco is also a Deli and offers catering services. I don’t know about the food but I can say that the cappuccino was good! I guess I’ll have to go back for food! As I was getting halfway through my cappuccino, RF (who has probably seen every movies ever made in Hollywood) noted that all music played at Brasco came from a movie soundtrack. I don’t know if it was only a coincidence but I thought that was pretty clever for a cinema café, although by that time the Céline Dion’s song from Titanic was unfortunately playing. I’m not a big fan of Céline Dion and that movie, but I mostly thought it was unfortunate given what was happening this weekend with the Costa Concordia cruise ship off the Italian coast. After a few minutes spent on discussing the incident, we were paying more attention to the music and trying to be the first one to identify from which movie came the soundtrack. Of course, with songs coming from Dirty Dancing and other similar movies, I had no chance against RF. I love cinema but I’ve seen many more movies from France and other European countries than from Hollywood. That being said, I have seen Donnie Brasco and, to my great surprise, RF had not! 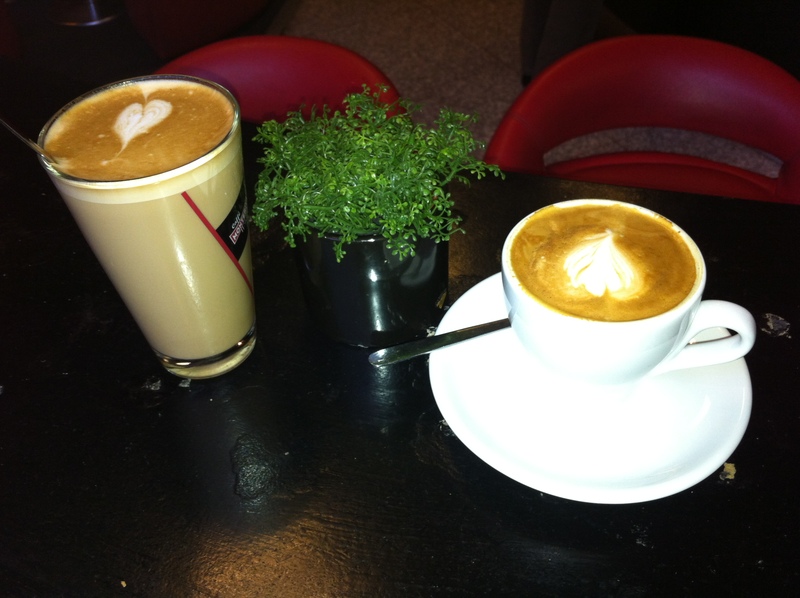 Café Brasco, a nice stop in trendy SOFO! I love that the cafe plays soundtrack music! I pay a lot of attention the music used in movies so I would love the opportunity to hear songs and then figure out from which movie they came! What a cool looking cafe! Music can make a huge difference in a movie. Guessing from which movies the songs came from was a pretty fun game! Love the Al Pacino/Scarface wallpaper! We had a late night weekend here too – it was so freezing out so waiting for cabs was the worst. The drinks and visiting with family made it worth it though. Glad you had a fun time with family!